We will be running part time Level 2 City & Guilds in Theatre Costume & Fashion from September 2019. Roman blinds, curtains and cushions can give your home the personal touch and making the items yourself means you get just the look you’re after. See images of our previous and up & coming workshops. As well as traditional knitting we like to offer classes in the more unusual techniques, meaning even experienced knitters can learn something new. 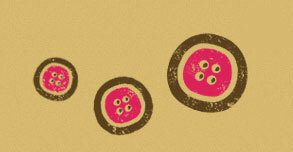 ﻿Learn a range of needlecrafts including hand and machine embroidery, needle felting and lots more! Let your imagination inspire your creativity and create beautiful unique gifts and accessories. Our highly successful, experienced teachers work in the fashion industry and will be able to pass on their invaluable knowledge to help you enter the world of fashion and pattern design. Have you always wanted to make your own clothes? We offer courses on all aspects of dressmaking so you can start with the basics then move on to design your own garments. Here are a list of fabric and haberdashery suppliers I highly recommend and use on a regular basis. Please feel free to contact me for any further information. A relatively new concept which involves taking an existing item and creating something new out of it, keeping things out of landfill, saving money and embracing your creativity. Learn a range of skills during the week including; dressmaking, soft furnishings & crafts. Create your own unique sculpture to decorate the interior or exterior of your home. A fun, relaxing way for kids to learn new and valuable skills whilst finding the perfect outlet for their creativity. Here at the school we celebrate the craft and skill of all aspects of sewing, textiles, needlework and creative art projects. Whether you want to sew as a hobby or get a taster for a career change, we have something for everyone. Learn pattern cutting, willow sculpture, knitting or how to make a dress, we have all sorts of workshops. We’re here to help you learn the art of dressmaking, soft furnishings and to express your creativity through the making of gifts and lovely things for your home using various techniques. Join our friendly, experienced tutors on one of our informal, relaxed workshops to learn something new or take your skills to the next level. We provide all the equipment, including sewing machines, so you can just come along and get started, all refreshments and some materials are included in the price (please check course details for more information). We only book 6 people on each workshop (with the exception of knitting & crochet) so you receive plenty of help in a small group. If you wish to bring your own sewing machine along to the workshop it must be under 2 years old with a warranty or it should be PAT tested (certificate will need to be produced). 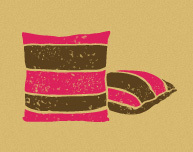 A small amount of haberdashery and fabric is available to buy at the workshop, for further enquiries please email me. 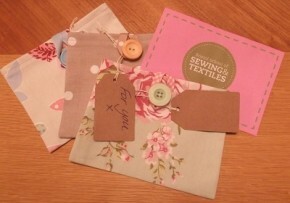 GIFT VOUCHERS are available to order and come with a choice of unique handmade gift bags. You can choose the value of your gift card and the fabric/colour of your gift bag. Please email info@bristolsewingschool.co.uk to order one. Birthday parties, groups, team building sessions and hen parties welcome give us a call to discuss your requirements. To hear about classes once we’ve released new dates join our mailing list and we’ll keep you updated.